My Antonia research papers focus on the characters in the novel give of themselves, body and soul, to be in America and be a part of the immigrant experience in America. A research paper on My Antonia sums up the heroes and heroines of My Antonia in the last lines of the novel by stating, “Whatever we had missed, we possessed together the precious, the incommunicable past” (175). “Incommunicable” is Cather’s justification for the ambiguity that still surrounds her work today. Are her characters heroes and heroines or are they victims of an inevitable justifying fate, which seems to be indicative of Cather’s work, the age-old adage of “what comes around goes around”? 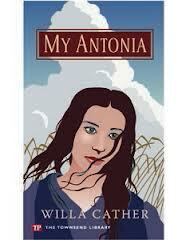 Through examination of Cather’s treatment of Jim Burden and various other characters, the My Antonia Research Paper appears as though Cather’s characters are treated as heroes and heroines, yet they pay a price for the journey of the hero and many are not part of the American history of the immigrant. They are not part of the great plan that determines their options; rather, they are tossed about by fate and do not become part of the American pastoral or masters of their own destiny. The literature research paper focuses on the characters in the novel give of themselves, body and soul, to be in America and be a part of the immigrant experience in America. For example, Peter and Pavel leave their friends in Russia but Pavel dies in America and Peter goes bankrupt; Tiny Soderball becomes rich but looses her toes and her spirit; and Jim Burden becomes a successful lawyer but has an unsuccessful marriage. Cather dismally asserts, through My Antonia, that the immigrant struggle was not without individualism and self-reliance but the closing of the frontier found many immigrants broken by the struggles of the land and the economy. Paper Masters writes custom research papers on My Antonia and focus on the characters in the novel give of themselves, body and soul, to be in America and be a part of the immigrant experience in America.